Across two Chapters, 2017 saw Cosmic Gate release ‘Materia’ – the most significant and expansive album compendia in their long-playing history. Throughout key points of ‘Materia’s timeline, the ‘How’, ‘What’, ‘When’ and ‘Where’ of its coming-together was captured on film. In ways intimate and surprising, inspiring, challenging and heartening, ‘Materia - The Documentary’ chronicles how the albums of ‘Materia’ were conceived, recorded and released - all related by the men who made them. Shot on location at key events over the course of a musical year, the doc team shadowed the duo to Amsterdam for ADE, to Music Week in Miami, Belgium for Tomorrowland and on... It also drops in to more intimate ‘Materia’ tour shows, reaching celebrated venues including Ministry of Sound, London and LA’s Exchange. Over its duration, Cosmic Gate provide the inside loop on their processes and methodology, whilst shedding new light on ‘Materia’s concept. Featuring behind-the-scenes material, it includes lesser-seen backstage footage, with Nic & Bossi sharing candid insights on how they manage the pressures of group and tour life. Contrastingly, the film also captures all the front-of-house thrill and thrall of the pair live, and in full flow. All naturally backed by the embryonic anthems of ‘Materia’. On cam, Nic & Bossi also discuss moments from their earlier years and relate how events and inspirations - often unexpectedly - played their part in the shaping the albums’ music. The doc also delves into Cosmic Gate’s unique dynamic, exploring the synergy & second-nature-ism behind one of the most enduring partnerships in electronic music. Intercut between are clips from many of Materia’s best known tracks, ‘AM2PM’, ‘Fall Into You’, ‘AR’, ‘Noom’ and ‘Dynamic’ among them. Through the documentary makers lens, you can get as up close and personal with its albums as it’s possible to get. 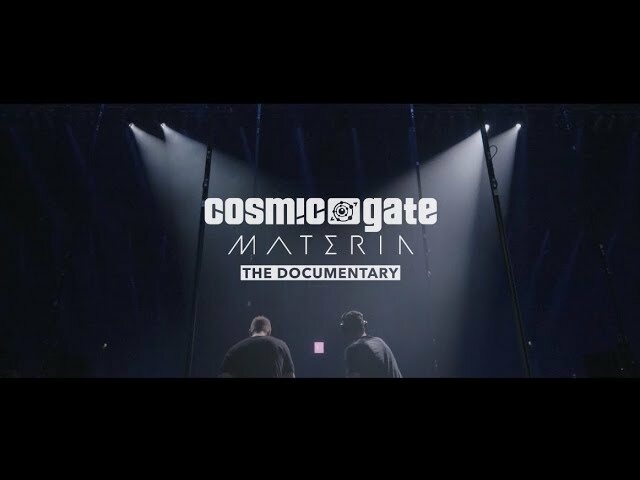 Cosmic Gate’s ‘Materia’ movie is online now. Dock with the doc here: https://bit.ly/2srxSKz ! !